I hope to begin a workshop for parents who are nurturing children with chronic mental health issues, combining traditional group support with a poetry workshop focused on the imagination and intellect of the parents themselves. 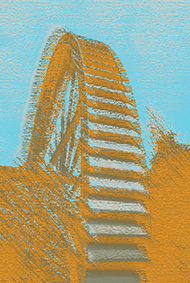 If you are part of any community looking to read and write together, drop me a line and I can tell you more. 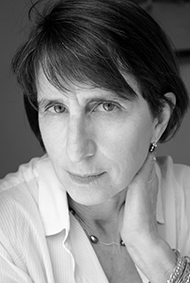 I am a long-ago graduate of Barnard College, the inaugural class of the University of Houston’s MA program in creative writing, and more recently, NYU’s Silver School of Social Work. 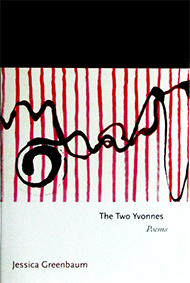 My first book of poems, Inventing Difficulty, came out from the Gerald Cable Prize, and my second, The Two Yvonnes, was chosen by Paul Muldoon for Princeton University Press’ Series of Contemporary Poets, and named by Library Journal as a Best Book in 2012. In 2015 I received an NEA literature award, and in 2016 I received the Poetry Society of America’s Alice Fay Di Castagnola Prize for poems in the manuscript of my third book Spilled and Gone. I live with my husband, the attorney and community organizer Jed Marcus, and we have two grown daughters. 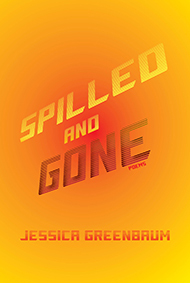 In Spilled and Gone (2019), her new collection of poems, Jessica Greenbaum envisions a Brooklyn that is real and a Brooklyn that is everywhere. She achieves this by a brilliant use of metaphor: her seagulls “wheel like immigrating thoughts,” and a half-moon at dawn is “stuck like a dime in the coin slot.” So, too, her exuberant odes to a potato masher and a stovetop espresso maker raise those mundane objects until they rise off the page, Whatever she entertains — a storm-struck tree, an outdoor concert, her immigrant grandparents, a food truck in Grand Army Plaza — her subject is enlivened by keen observation, a fresh mind, and a vivid sense of place that makes me want to be there, with her, in her world. Inventing Difficulty (2000), A sinewy, vividly intelligent humanity gives to this collection its memorable voice. 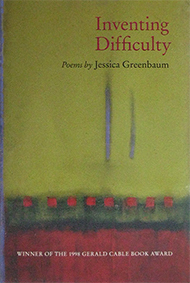 In one sense, Jessica Greenbaum’s poems are incisively local—that Brooklyn landscape out of Whitman and Hart Crane. In another sense, however, they tell of the larger sadness and recognitions of our century. They “design their world through love” and scrupulous observation. A first book by a poet very much to be listened to.